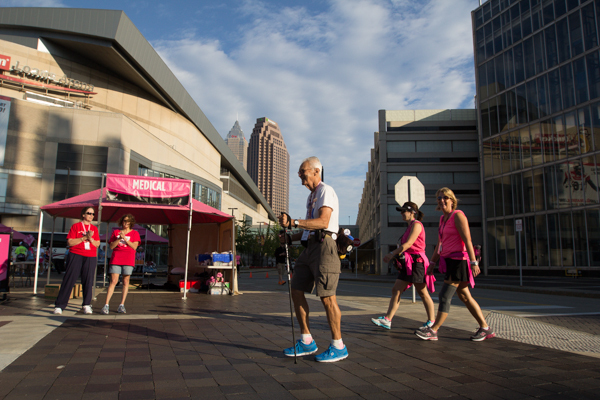 Most walkers, crew, and volunteers have a very close relationship to breast cancer. Not George N. from Clawson, MI. He had just retired from his construction/electrician work in 2001, and he remembered the President’s speech. George stood at Dock 32 this morning at the age of 81 and paraphrased: “Do some good in your neighborhood . . . help a shut-in . . . walk across the street to a neighbor in need and say ‘what can I do to help you? 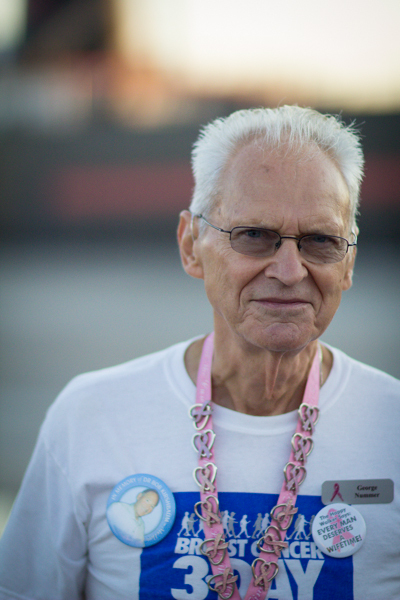 '” George then saw an ad in the newspaper that talked about the Susan G. Komen 3-Day® and decided this was his way he could help. Best of luck on your 30th 3-Day, George! Thank you George for keeping me inspired as I train for walk #6! I met George at my fiirst 3 Day event in Boston in 2006. We walked and talked for miles together. I have often wondered if I would see him again somewhere along my 3 Day Journey and found this story of him here on the blog. George instantly became one of my 3 Day Mentors and is a big reason for why I still walk.. because I can! I was honored to meet and walk with George in Dallas of 2007. To my surprise I ran into him in another 3 Day in San Fransisco in 2009. What an inspiration he is and I too hope to walk for many more years in the 3 Days. This is my 1st 3 day, Aug 16, here in Michigan. I heard about George last year. I hope I can meet you George, You are a hero.!!! I’m not sure I had heard of George before Cleveland this past weekend. I took every opportunity to shake his hand and thank him for all of his miles and dollars. You’re awesome George! !